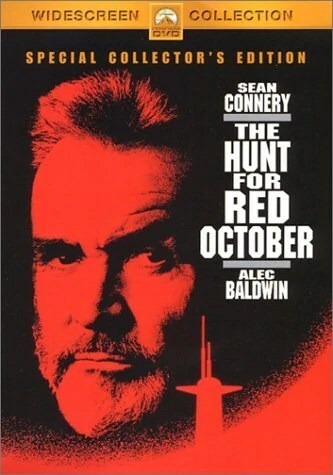 This entry was posted in Cold War, Movie, Reviews, Submarine, Trailer, War Movie and tagged Alec Baldwin, Cold War Thriller, James Earl Jones, Movie Trailer, Movies, Reviews, Sam Neill, Sean Connery, Submarine, The Hunt For Red October, Tom Clancy, War Movies. Why did you watch a movie you knew you would not like? It’s not like you were forced to watch it like me and “The English Patient”. I think you secretly like Sean Connery and detest him in print to throw us off. That is my theory. Here are some war movies I recommend to you: The Longest Day, The Hill, A Bridge Too Far, and The Man Who Would Be King. All great movies with one thing in common. Who says I was not forced? On the other hand I’m always open, I thought maybe I would still like it as I heard it was very well done which it was. I have seen a few of his movies in which I did like him. Did you figure out what the one thing in common is? I did not mind Connery in A Bridge Too Far or in The Longest Day unfortuately I haven’t seen the other two. Any good? You don’t like spy movies???! How about Farewell. Oh wait, that’s Cold War. I’m not a fan of that era either but the movie is really very good. I don’t know it but usually I’m open. I have more of a problem with Cold War than spy movies. Unfortunately the topics are often combined. In any case, thanks for the recommendation, I will look it up. I have not seen The Hill yet, but have heard good things about it. I know you read my review for “The Man Who Would Be KIng”. I think it has too much Connery for you unless you are a big Micheal Caine fan. I have no problem with Michael Caine, I quite like him. I’m not sure, I understand.